ATI designs, fabricates, tests, and documents prototype and experimental flight vehicles and hardware for commercial and military customers in the US and other countries. Our experienced team has produced rotary and fixed wing aircraft in manned and unmanned configurations. We also implement limited production capabilities including tooling, suppliers, and production line set-up. One and two-man helicopters developed for a Taiwanese customer. An all composite airframe and rotor blades make for simple construction and good performance. Three models were developed as amateur-built kits including an FAA ultra-light category version requiring no license to operate. Over 150 kits have been sold to customers around the world. This aircraft was developed by a Swiss company to provide 6-8 passengers the ability to takeoff and land without a runway and cruise at 250 knots. ATI executed the preliminary design of the vehicle, built and tested powered wind tunnel models, built and tested sub-scale free flight models, fabricated full-scale airframe tooling and tool-proof test articles, and built a full scale marketing mockup with a finely detailed interior. 1000 lb gross weight unmanned helicopter based on the Ultrasport drivetrain and featuring an autonomous flight control system developed by SAIC. Developed by ATI and SAIC for sale to US military and international customers. ATI/SAIC continues to produce and support Vigilante systems for several DOD customers. This Medium Altitude Long Endurance (MALE) UAV was developed by SAIC for a US DOD customer in response to the September 11th attack on America. ATI served as the airframer, designing, fabricating and assembling the airframe, propulsion and electrical systems. ATIalso supported the wind tunnel, ground, and flight testing of this system. Rapid prototyping techniques allowed this vehicle to progress from conception to 1st flight in 60 days. One & two-man helicopters developed for a European customer. Featured simple tip-jet rotor system with mono-cyclic controls. Detail designed, fabricated, and ground-tested at ATI. 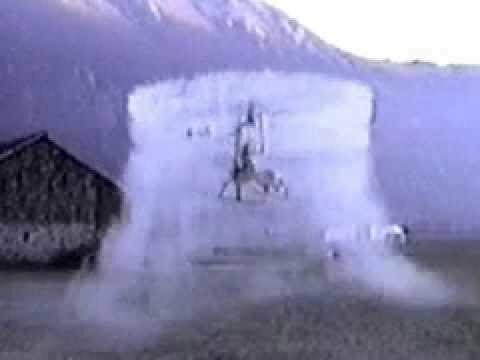 Flight tested in Switzerland.